While watching Season 1 of Westworld, I spent the entire time annoying my wife. I would bug her about the anti-patterns I saw the software teams at Westworld using. Of course, the anti-patterns were for dramatic effect. It wouldn’t be interesting if everything went right. But, since it’s rife with bad practices it can be a good way to point out when teams are doing things wrong. What follows will be a load of spoilers. We will learn from the Westworld team’s mistakes and prevent them in our own teams. Again there will be many spoilers, so if you haven’t finished Season 1 and don’t want it to spoiled: stop reading. “He’s got the look of a ballplayer.” That phrase was enough to make a purchasing decision in the millions. That changed with Sabremetrics. Sabremetrics is a series of a statistics designed by Bill James in the 70s. It has transformed baseball but was ignored for 40 years. James figured out that statistics we used to rank baseball players were inaccurate. For example, he found that batting average didn’t capture player’s impact. It didn’t include walks or differentiate between singles and home runs. James instead leveraged On Base Percentage and Slugging Percentage to value hitters. This led to a more accurate read on hitters. The cost of misjudging a player is high. Baseball teams are enterprises. Teams compete for talent. The richest teams have budgets several times larger than their competitors. Picking up a dud can cost teams millions and getting a superstar is out of reach for small market teams. Scouts, the people charged with finding and ranking potential players relied on intuition. The top tier of players was easy to recognize and thus were expensive and out of reach for small market teams. In response to mounting costs, teams began to leverage Sabremetrics. Soon, great players who traditional scouts ignored were then discovered. Traditional scouts ignored David Ortiz. But, he had high on-base and slugging percentages early on his career. For the Red Sox, these were better indicators of his potential than the fact that he was chubby. Decisions like signing Ortiz are how the Red Sox won the World Series in 2004, 2007 and 2013. Software teams are just as guilty for misjudging talent and missing the diamonds in the rough. Delivering working software that people will want to use is the goal of most SaaS software teams. Yet, what kind of traits are software teams looking for in candidates? If you look at lists of interview questions like Awesome-interview-questions, you’ll find only technology questions. Technical questions have value and you should be doing a technical screening. But we shouldn’t miss the other elements of working on a software team. How did they approach a problem they had never solved before? How would they? How do they ensure quality in their codebase? How do they interact with nontechnical team members? How do they leverage open source technologies? Do they mentor and pair program? How do they react to conflict? I’ve had candidates who were almost seething when I mentioned tabs and spaces. Do you think that person will keep their cool when something goes wrong? With a competitive market, smaller teams need to find the undervalued players. But they also need to avoid talented professionals who are difficult to work with. Build a team of all stars without competing for the types of talent Google are fighting for. Early this year when I read about Erlang in Seven Languages In Seven Weeks, I mentioned that Elixir was a language I intended to explore this year. At Maxwell Health, we also started to investigate Elixir for new projects because we wanted a functional language in our arsenal and we liked it’s concurrency story. So I thought it would be in my best interest to dive into Elixir. I read through Programming Elixir and Programming Phoenix and recently started work on several Elixir projects. Feature toggling is a way to release code to production without executing it by default. There are several ways to leverage feature toggles: releasing a feature production that may not be ready for customers or may be broken, releasing a feature to a subset of users or simply A/B testing. I wanted to create a library that captured all of these features for Elixir. Having contributed to other feature toggle libraries, I had a basic sense of the features I wanted. I wanted to be able to activate and deactivate features, have features that could be shown to a percentage of users and have features that could be only available to groups of users. In languages like PHP, this can mean several classes that are managing these pieces of functionality. However, in Elixir I could leverage pattern matching which shrank my code down. The code above handles all of those features in just a few lines and it handles several kinds of Ids (strings and integers). Isn’t that cool? Other than pattern matching, other languages features I’ve enjoyed are the piping of functions into one another. It has been a great way to visualize how data is being manipulated in the pipeline. I can’t wait to explore more of Elixir in the new year. You can check out the whole repo on Github. I’m back with another set of books I read this year. I’ll be finishing a few more by the end of the year. Walkable city: How Downtown Can Save America, One Step at a Time – When I travel, I love to use the public transit of a city and walk as much as I can. This book captures why the cities that are easy to travel in will continue to be and how you can transform your difficult to travel city to be walkable. The hard thing about hard things – Ben Horowitz talking about his companies experiences from the dark times to the less dark times. The Devil In the White City – It takes a bit to get moving, but once we’re moving this book switches beautifully from the World’s fair to one of the worst serial killers in the US. Programming Phoenix and Programming Elixir – I’ll be writing more about how much I’ve been enjoying learning Elixir, but these are great books to get started with it. Holy Sh*t: A Brief History Of Swearing- I swear a lot. I felt good to know that my behavior is as old as the written word. I enjoyed how what we concern to be a swear has changed over time – from religious swearing to obscenity. Ha! The Science of Why We Laugh and Why – Any book that references the Aristocrats is a good book. TED Talks: The Official TED Guide to Public Speaking – TED is full of helpful hints to engage the people you’re speaking to. If you want to step up your speaking game this is a good place to start. Payoff: The Hidden Logic That Shapes Our Motivation – A short read about motivation by Dan Ariely. He brings forward more studies to prove the things that get people to do the things they do. White Trash: The 400-Year Untold History of Class In America – Before our forefathers got to shore they already had identified white trash in England. For the last 400 years, our politicians and most influential Americans have criticized and manipulated poor whites. Hearing the uncensored cruel words that our presidents and founding father’s said about the poor of all races was disturbing and enlightening. Weapons of Math Destruction – Algorithms aren’t clever yet, they lack nuance and context. Could you imagine if they determined your ability to go to college, how long you’ll be sentenced in jail and making important financial trades without context or based on too few inputs? Well don’t imagine it, it happens every day. Blue Ocean Strategy – Sara read this in college and suggested it to me. While I hate the word “value-innovate,” it creates a gameplan on how to create a business that creates its own market. On Writing Well – I will write shorter sentences. I will be a strong voice. I will write what I care about and make people care about it. Between The World and Me – This is a beautiful book. This is an important book. This is a book you should read. Posted byJames Hrisho December 23, 2016 Posted inbooksLeave a comment on More Books in 2016! As of data released yesterday, the state of Massachusetts loses 5 people a day to opioid overdose. The whole nation is facing an epidemic, young people are dying at an alarming rate and more people becoming addicted to opioids every day. Naloxone is a drug that reverses the effects of an opioid overdose and saves lives. Civilians can be trained to administer the drug and be there to reverse the fatal effects of an overdose. However, in order to administer the drug they must be in the right place at the right time. To help connect responders with those in need the FDA held a month-long hackathon. To help connect responders with those in need the FDA held a month-long hackathon. 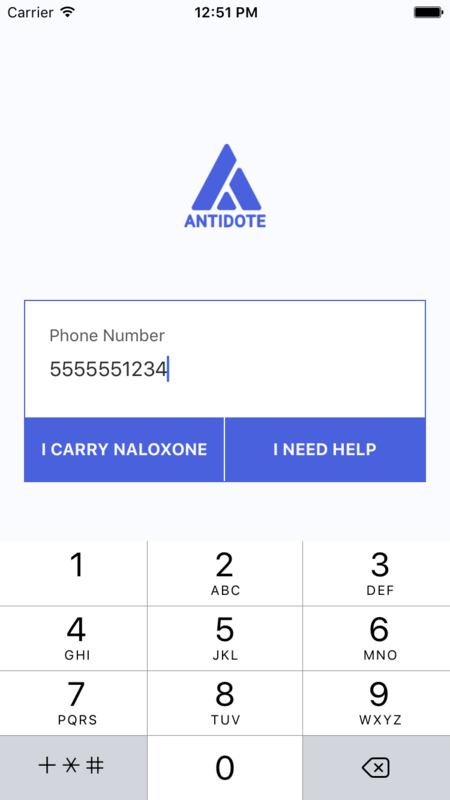 The goal of which was to provide a mobile application to get Naloxone to those who need it within the 5 minutes after the person in need begins overdosing. In many parts of the country, the number of overdoses that happen in one evening far outpaces the number of EMTs and police officers who are on duty to respond. Cory, Carrie and I were inspired to participate after several years of watching our towns getting gutted by heroin addiction. We’ve lost friends and neighbors who had so much more to experience, so when the FDA opportunity came about we knew that our skill sets could help make a difference. The application is called Antidote. It is designed to connect those who need Naloxone to their area with those who have it. It has two roles: the responder, and the requester. The responder is a user who is trained to administer Naloxone and the requester is someone who needs it. We wanted the workflow to be minimal and familiar. The guiding principal was if you have used Uber you would know how this would work. The application asks for minimal information, just a phone number and your location, to respect the privacy of those involved. From a technology perspective, we knew we wanted to support both iOS and Android. While we never used React Native before, it made sense to adopt it as it is designed for those who have used React on the web and it integrates well with Redux. 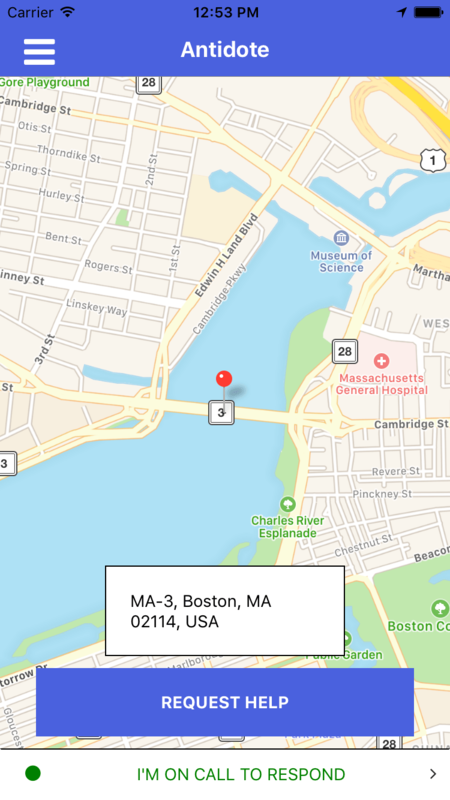 There are an endless number of plugins for React Native, so the implementation of location, maps, notifications, styling and persistence was relatively straightforward. We didn’t want to bother with authentication or authorization and wanted to be able to verify accounts with SMS. Auth0 provides this SMS/passwordless functionality out of the box and made itself an even easier choice in its implementation. You can experience a demo of our application at Youtube and read all of the code on Github: here and here. We’re really proud of the work we’ve done and hope to expand on it in the future. A few months ago, I did a little weekend project of looking at TV comedy pilot scripts. For those unfamiliar with the concept, when a television show is being developed a network will order a pilot episode as a test to see if it will pick it up for a full season. As a result, the idea may be reworked and elements changed to “make it work” for that network. echo "File $parsedfilename does not exists"
sign that reads, "Friday Night Bits with Jenna DeCarlo. 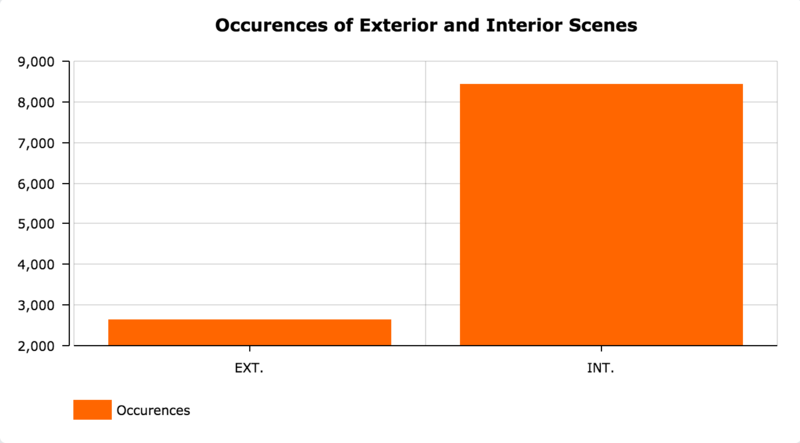 //outputs the count of the phrase "20s"
Screenplays are unique because of the way they are formatted, they announce whether a scene is interior or exterior at the beginning of the scene with either INT. or EXT. so I started there. My take: It is significantly cheaper to shoot indoors than outdoors, this might be a self-selection by writers to make sure their show gets picked up. When announcing a character in a screenplay you usually give a short description which includes their age usually by decade, for example from The Grinder script “STEWART SANDERSON (30’s) drives with his family”. My Take: No surprises here, television is geared towards 24-54 and they want to show a good distribution of those people on TV. Pretty neat right? Well the completely interactive version is located at https://script-sentiment.herokuapp.com/ where you can look at the 100+ scripts I did sentiment analysis for. When I started the year I had a goal that I would write a blurb about each book I finished this year however I’ve fallen way behind in the writing piece. As a form of catch-up (read as cheating), I’m going to quickly recap the books I’ve read since The Power Of Habit. Born To Run – A great read while I trained for my first half marathon. I always enjoy reading about forgotten knowledge and for running long distances we’ve certainly forgotten more than we know Today. Domain Driven Design Distilled – If you are building software applications, domain driven design is an approach to wrangling complex business logic by structuring your applications as your users will think and speak of them. This book and others will help you work through the brainstorming process for that as well some design patterns like CQRS and Event sourcing to aid in communicating changes in your domain driven services. Food a love story – Jim Gaffigan writing about food, it is great. Infrastructure as code – You’ll be inspired to rewrite your entire infrastructure so it’s not a set of hand-rolled fragile pets but an automated, repeatable, scalable infrastructure made of ready to kill at any moment servers. Disrupted: My Misadventure in the Start-Up Bubble- A man in his 50s joins Hubspot and hilarity ensues. Of course about half through the book things take a dark turn. A great read for anyone who has worked at a start up and thinks sometimes that you are all going nuts. American Icon: Alan Mulally and the Fight to Save Ford –Alan Mulally took a company that by all rights should have been dead and rebuilt it by getting people to work with each other, focusing the product line, and solving problems of quality above all else. The Psychopath Test – There is a test that professionals use to determine if someone is a psychopath. Jon Ronson explores whether he can learn to identify psychopaths by learning the test and finds out a lot about crazy people along the way. The Etymologicon – My favorite feature of google is asking <WORD> etymology. This was basically 7 hours of that but a constant flow of words, it was so much fun. Omnivore’s Dilemma – It’s tough being humans. We are making complicated trade-offs – organic, local, slow, fast, …whatever the trend, none of them are silver bullets and this book covers a lot of these trade-offs. Sienfeldia- I’m a big Seinfeld fan and to hear all about how the ideas and stories came to light is fascinating. Can you imagine where we would all be without the big salad, yadda yadda yadda and the contest? Probably the darkest timeline. Shoe dog- I didn’t know the story of Nike. To hear about the giant risks they took to create one of the largest shoe companies and one of the most recognizable brands of all time is a ton of fun. Reading this book after Born To Run was great as well because you can see how early Nike design decisions influenced the shoe industry that may lead to a backlash that turns into the barefoot running movement. Spook – I’m clearly a fan of Roach’s writing – while this wasn’t my favorite of her works it’s still a good time to explore what happens after we die. Roach doesn’t pull punches as she explores reincarnation, people who communicate with the dead and even stories about past popes. American nations a history of the eleven rival regional cultures of North America – This was probably the one book I read this summer where I couldn’t stop talking about it. “And see the nations have never got along it was just these 3 events where we pretended to” or “Can you believe that people from the Appalachian states have made up the most of our military since the revolution but only account for a small piece of our population?” is how I annoyed Sara every time I put down the book. When I finished the book I was amazed because the first article I read was about the prison sentences being widely different county to county. You can read the full article here, but the map of where the harshest prison sentences aren’t red states and blue states but almost an exact map of the “Borderland” states. The Phoenix project – A fictional book about DevOps, what will they think of next. But you know what despite the deus ex machina up the wazoo – oh how convenient that the factory down the street has the exact same problem as our infrastructure team! – it was fun to see XP principles and DevOps applied and how it can transform an organization. Notorious RBG – Ruth Bader Ginsburg’s journey to the Supreme Court and her impact on the court is inspiring. While the author tends to float into meme-heavy pieces about how cool RBG is, it was still a great story about a woman who has been steadfast in her fight to make our nation into a more perfect union. The Ego Is the Enemy – Ryan Holiday goes deep throughout history and does a fantastic job finding examples where ego ruined a successful person. 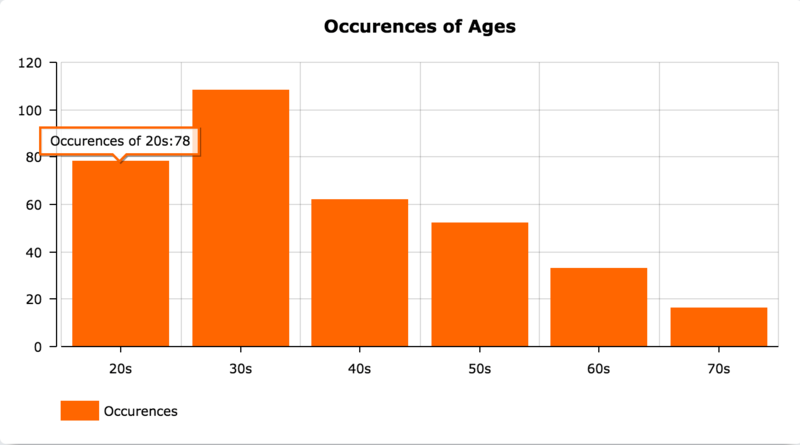 As much as we love Kanye, in looking at the data he is the exception not the rule. Harry Potter and The Cursed Child – We’re going to see the plan in London next fall and after reading through the play, I can’t wait to see it on stage. At my old job, we used to have cans of Coca-Cola available in our fridge. I remember every day I would start to drag around 3 PM, and then the lovely sound of someone else opening a can would cause me to get up, drift to the fridge, open my own and drink it as fast as possible. By 3:30 I was ready to tackle that important piece of work I had to do. This was a habit. It was set off by a cue, followed by a routine and punctuated with a reward. According to The Power of Habit, these are three elements of the habit loop. The book gives you the lowdown of how habits are built, ignored, exploited and how to break them. The author weaves together stories of Alcoholics Annoynomous, the Tampa Bay Buccaneers, early toothpaste salesmen and the launch of Febreeze to create a compelling tale. He reminds us that we can use habits for both good and bad and how they can be used to build better businesses and lives, a great read for those looking to create a “sticky” brand. I like sports but I think I love the human side of sports more. I read Deadspin, when I had cable I watched Outside The Lines and 30 for 30 and I listen weekly to Only A Game on NPR. Sometimes it feels like professional sports are its own universe where outlandish behavior is acceptable and normal human beings go from boring to insane. This Is Your Brain On Sports proves using studies and journal articles that our outlandish behavior in sports is happening but it’s also very much happening outside of sports. What was most interesting about the study was that subjects found quarterbacks to have more leadership qualities purely based on photos. It aligned with a similar study that was done with faces of employees and CEOs and had similar results with CEOs having more presumed “leadership” qualities. These studies got me thinking about getting asked for directions. Discussing with my brother and father, we’ve found we get asked for directions far more than people we know. On my current trip to Paris and Brussels, I’ve been asked for directions in 3 different languages in two different languages, with many other people standing close enough who could be up to the task. So why do they ask me? Maybe I have a face that says I’m approachable? Good with directions? Willing to help? Who knows! But, if you like reading about sports and how it reflects our daily lives check out this book.